The oldest temple in the city of Manado located in Jalan Panjaitan at the downtown exactly. It is a worship place of tri dharma Manado which follows Confucianism. 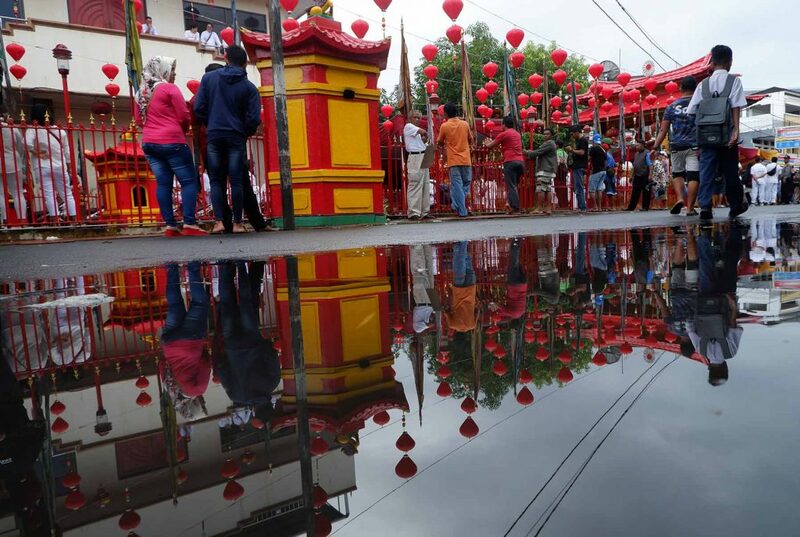 In this temple a religious ceremony called Toa Pe Kong or Cap Go Meh is held every year. The ceremony enlivened by attractions called Ince Pia where a man cuts up his back with a sharp sword without getting hurt at all. The visitors would not pay when entered this temple. Imlek is the best time to visit the temple, because there will be decorated of the lanterns. Manado Sentrum church is the oldest church in Manado city, one of the Dutch relics. In Japanese colonial era, this church became the headquarters of MSKK (Manado Syuu Kiri Kyookai), but destroyed by bombs during independence war. Since then built the monument of Second World War at the left sight of the church. State Museum of North Sulawesi province is a source of information about natural history, people and culture of North Sulawesi. State Museum of North Sulawesi located in Jl. WR Supratman number 72. The State Museum of North Sulawesi Province is a regional museum with a collection of cultures from pre to post-colonial and cultures acculturation between the local residents and visitors were quite a lot. Among them are a plant that describes the process of making pottery is traditionally in Minahasa, Objects relics of National Hero, several miniature traditional house of North Sulawesi, weaving equipment traditionally made of wood, and some installations which shows a view of the beach, with the boat Londe and simple huts. Jesus bless monument is a statue of Jesus Christ. The structure stands 50 meters (158.3 feet) tall and consists of 20 metres of pedestal and 30 meters of statue. It is made of 25 tonnes of metal fibre and 35 tonnes of steel, and is located in Jalan Ring Road, Citraland residence. One of the Christian tourist destinations is very artistic and beautiful. Malalayang beach is located in Jalan Raya Trans Sulawesi, Malalayang district is a beautiful marine tourist attraction, and only about five miles from the center of Manado city. You can enjoy panoramic beach at the noon. Because the view of Manado downtown is seemed like color light. 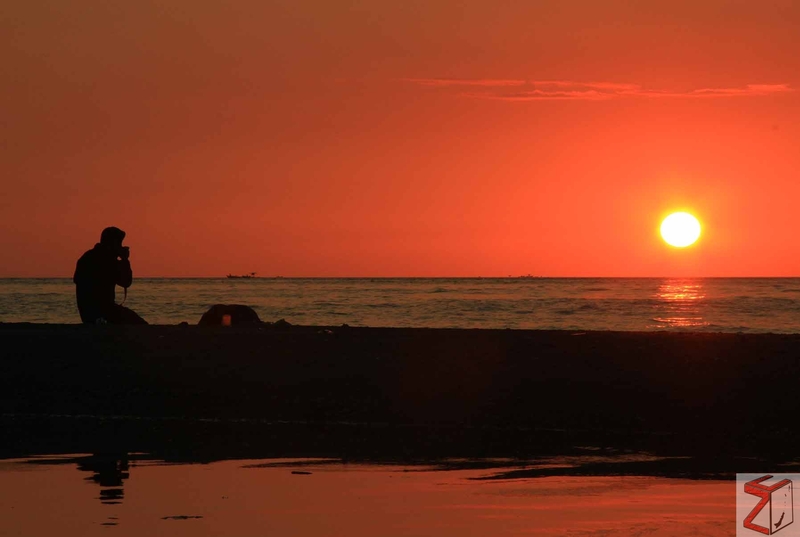 And the favorite views are you can enjoy the sunset moment view while you are sitting around the beach, and diving spots near the shore. 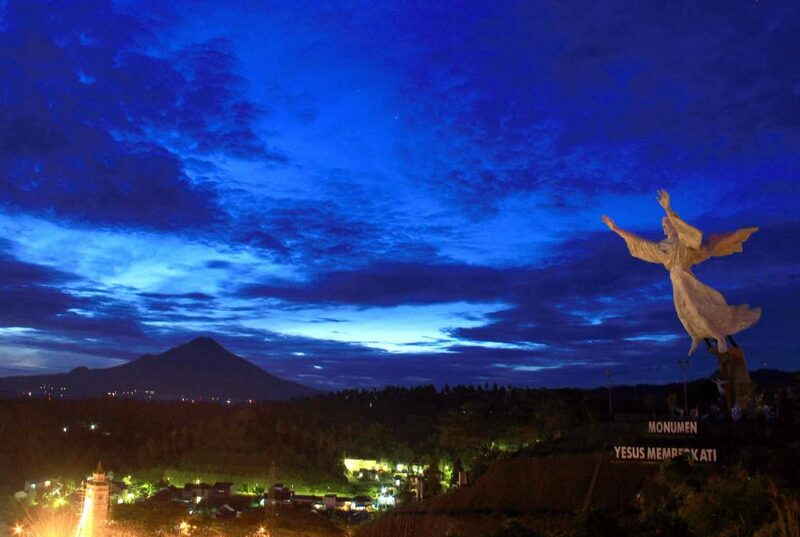 Moreover, there is ‘Boboca Monument’ located between Manado city and Minahasa regency. Bunaken National Park is a marine park in the north of Sulawesi island, Indonesia. The park is located near the center of the Coral Triangle, providing habitat to 390 species of coral as well as many fish, reptile and marine mammal species. The Park is representative of Indonesian tropical water ecosystems, consisting of seaweed plain, coral reef, and coastal ecosystems. In addition to its huge biodiversity Bunaken is also a place where rare and endangered animals can be found such as coelacanths, dugongs, whales and turtles, as well as dolphins. The park has a unique bathymetry, which is an attraction to tourist scuba diving at Bunaken Island. The absence of a continental shelf in the northern part of North Sulawesi allows the coastal area to drop directly down to the sea floor. Around Bunaken island there are several islands that also beautiful, those are: Manado Tua island, Siladen island, Nain island, and Mantehage island. Bunaken is about 45-60 minutes from Manado by get on boat in Marina Plaza and Kalimas Port. You can choose the speedboat, or catamaran boat that could appear the marine park.